BSP chief Mayawati on Saturday alleged that voting machines had been "managed" in favour of the BJP in Uttar Pradesh and that it was difficult to accept the "very surprising" election results. "These election results are very surprising. 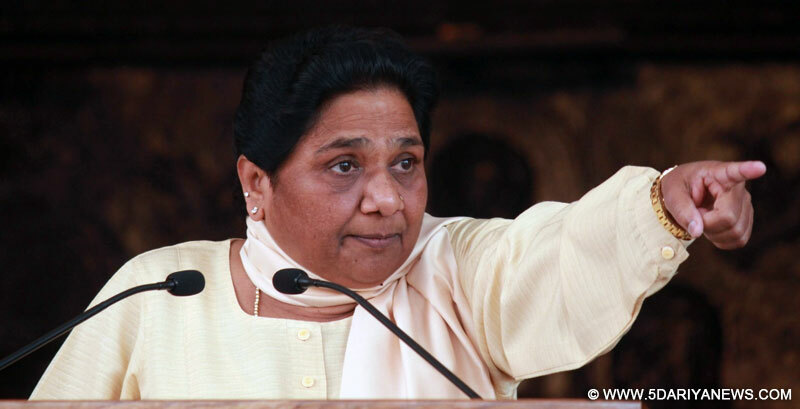 It is very difficult to accept them," said Mayawati, whose Bahujan Samaj Party has fared poorly in the state elections. "The reports I got have raised the suspicion that the voting machines have been managed... It appears that voting machines have not registered votes cast in favour of other parties or all the votes have been polled for the BJP. Even Muslim votes have gone to the BJP," she said.Her comments come as the Bharatiya Janata Party was poised to sweep the state.